Last week I attended The Publican’s Morning Advertiser Beer Innovation Summit in Burton on Trent. The event brought together senior representatives from the industry’s ‘big players’ to discuss issues facing beer and brewing, how to engage consumers and the future of beer in the UK. Below are my thoughts on the need for such a summit and what the day delivered. It would be hard to deny that we’re living through exciting times for beer and brewing. As you may know, we now have more than 1,000 breweries; new craft beer bars and events are popping up all the time and there are hundreds of people blogging about beer – even though the more traditional media is lagging behind a bit in its coverage. The flip side of this is pubs closing at terrifying weekly rate, publicans and brewers battling tax issues and decreasing sales – especially in the on trade (pubs and other licensed premises). Although one area where beer sales seem to be bucking the trend is cask ale and craft/microbreweries. So, we have an industry in a fertile state but trying to grow against a backdrop of recession, tax increases and a still ongoing battle against a bad reputation. The latter being highlighted by Andrew Griffiths MP for Burton and vice chair of the All Party Parliamentary Group on Beer who says the the concept of lager louts persists and is stoked by what he referred to as ‘The Daily Mail agenda’ which appears to portray all issues of alcohol abuse or misuse as being down to beer rather any other drink. 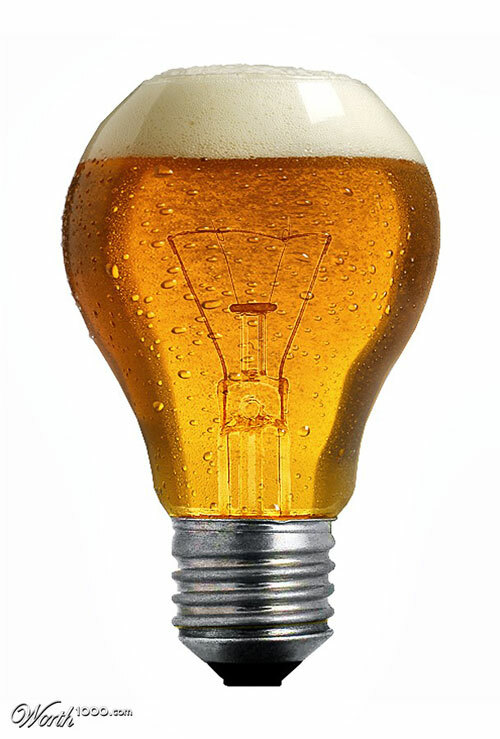 Considering all this, the time seems ripe for a Beer Innovation Summit – but what’s it got to do with your average beer drinker, or indeed your rather less than average one? Well, if the industry can’t get things right in this wonderful Golden Age of Beer we’re living in, it won’t last. It will be unsustainable and burst like a beery bubble once the pressures the industry faces become too much. Beer innovation doesn’t come from flowcharts. *The beer duty escalator – which raises tax on beer at 2% above the rate of inflation each year. *Consumption of alcohol falling (NB: The Government supports this and is committed to one billion fewer units of alcohol being consumed by 2018). *Recession – people spending less on going out as a result. *Young people socialising online and going out less. If all that sounds like a big bundle of doom and gloom you can at least comfort yourself that you have probably already signed the petition against the beer duty escalator; if consumption of alcohol is falling you’re not responsible for that; you still go to the pub or failing that at least buy beer from independent retailers likely to pay brewers a more honest price for their beer, and you are either a young person who doesn’t live their life only on Facebook, or you are an older person who always takes their son/daughter/nephew/niece or younger pals to the pub – because that’s where you drank when you were growing up. Problems solved. The Summit heard from various beer marketing gurus, including Beer Writer of the Year Pete Brown and CEO of CGA (a leading on trade consultancy) Phil Tate. Highlights from this session included a number of facts and figures that translate into useful advice to those involved in selling beer. *There are five more fonts (beer dispensers basically) and three more brands on average appearing on the bar these days – that’s lots of competition that you need to be aware of and ready for. *60% of consumers take recommendations of where to eat and drink from Social Media (Facebook, Twitter et al). They are probably accessing it on their phones as there are more than 19 million smartphone users in the UK, predicted to rise to nearly 42 million by 2016. *In 60 seconds 98,000 Tweets and 512,000 Facebook comments are posted. *Pouring beer in a reverent manner (often referred to as the ‘theatre of serve’) increases beer’s visibility and drives copycat purchasing. *Sophisticated glassware and fonts – used properly and in the right environment – can drive sales up by 6% even though licensees perceive that it doesn’t. *Re-hashing an old idea and dressing it up as innovation makes fools of consumers and the industry alike. *Real innovation comes from inspiration not flow charts. To me this demonstrate why online media, be it blogs, Twitter or Facebook is powerful and that the industry can not only use it to promote beer, but also learn from it – because those writing about beer are not just writing they are also involved in doing things in the industry. Although some breweries already have significant online presence, the biggest innovation many breweries and pubs could make would be to get to grips with social media or employ someone to do it for them. More publicans also need to genuinely start listening to the advice they’re being given about glassware, how beer is served and their bar staff’s knowledge because you won’t sell more beer if you don’t fully understand what you’re selling. Women & beer? The PMA struggled to find women at senior levels in the industry to speak at the Summit. Another issue that popped up during the day was what I think of as the women and beer question. Delegates Jo Lynch and Frances Brace – both of whom work in beer-related PR/marketing – asked questions about engaging female customers. 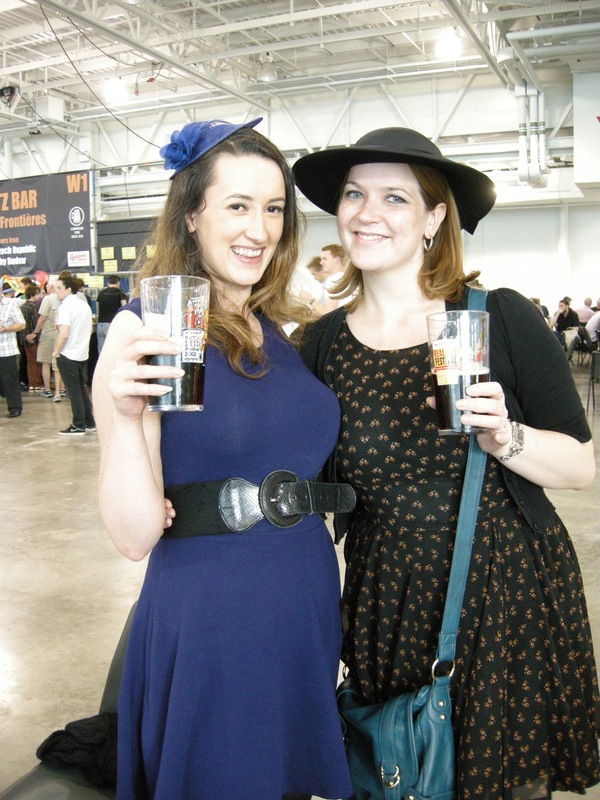 They probably wondered – as I did – why there was only one female speaker and one female panellist at the Summit given the rise in the number of female brewers and beer writers. Apparently it wasn’t for the want of trying, but rather a result of so few women working at senior levels in the brewing industry. At least one panellist acknowledged that it is “the Holy Grail for marketers to get women drinking beer” and another wondered if pints and quantity of liquid was a barrier with sharing sized bottles being the solution. I have always thought the answer was to offer more women the chance to taste it – give them a variety of styles to try at the same time, without them having to spend big money to do so, and see if that helps. If getting women to drink beer isn’t the Holy Grail then, it seems that being perceived as a craft brewery is. The Summit heard from big regional brewers Brains, Wadworth and St Austell – all of which were keen to show off their craft credentials. To be fair all of them seem to be doing a good job of running a healthy business selling core brands like SA, 6X and Tribute but at the same time brewing niche beers for the more adventurous drinker for whom craft seems to be a term they are more than comfortable with. The only question mark hanging over this innovation being, is it going to take business away from smaller brewers? Hopefully, if everyone is able to keep innovating – which is obviously how many of the the UK’s most successful microbreweries have got where they are – then this Golden Age of Beer will go down in history as the point when beer became a must have product no one could do without. But as well as brewers keeping on doing what they are doing we as drinkers – and writers and users of social media – need to keep drinking it, talking about it, celebrating it and engaging in some innovation of our own to make sure the next big news story about the industry isn’t all those new breweries closing down. Previous Did you know that women drink beer? It seems fair enough and sensible, but sounds practical rather than innovative wouldn’t you say? If it really is the holy grail to attract women, I wonder why so many beers use such unattractive marketing methods (pump clips with body parts on, tacky beer names, straplines such as “ask the barmaid for Head” etc) which are incredibly off-putting. Methinks the male marketers need some tips.